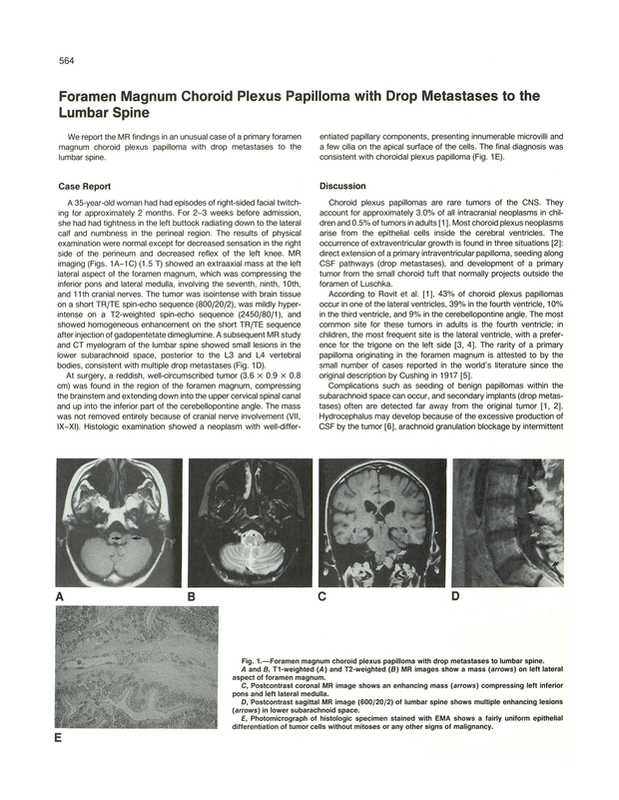 Foramen magnum choroid plexus papilloma with drop metastases to the lumbar spine. Massachusetts General Hospital, MGH-NMR Center, Charlestown 02129. You are going to email the following Foramen magnum choroid plexus papilloma with drop metastases to the lumbar spine.